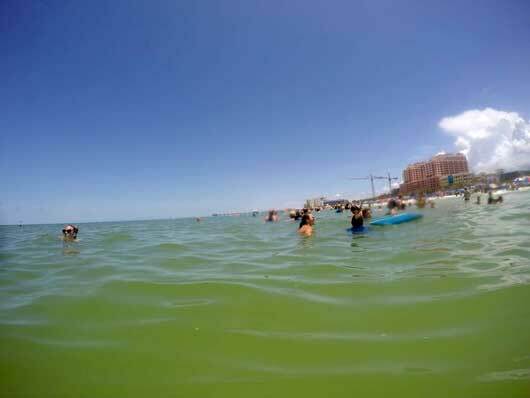 Clearwater beach offers calm clear gulf waters, white sandy beaches, warm sunshine, and ample hospitality. For a relaxing day away from the often jam packed theme park crowds hop on the Clearwater Beach bus. Lunch is no longer included. Enjoy the rest of your day working on your tan or take a leisurely walk on the beach. There are all type of watercraft that can be rented on Clearwater beach. You'll be able to rent waverunners , parasail, jet ski or even your own boat! Children can ride the waves on boogie boards. These historic street cars will take you to all the hot spots, restaurants and shops in the area. A fun, unique and inexpensive way to get around Clearwater. The trolley runs every 30 minutes. Professional drivers are more than happy to assist with any questions you might have on the area. This non-profit organization is dedicated to the rescue, rehabilitation and release of injured marine animals, public education, and animal-assisted therapy and research. Stop by and visit Winter the bottlenose dolphin dolphin with a prosthetic tail. The 1,080 foot concrete pier will give you an amazing view of Clearwater Beach. Fishing rods and reels are available on the pier for rent. There's a snack bar and kid's play area. My trip to Clearwater was great! The transportation to and from the beach was in an 18 or so passenger van. I was traveling alone and there were about a dozen other passengers in total. I decided to board the bus at the grocery store at Crossroads, just outside of the Downtown entrance of Walt Disney World. The grocery store is a bit overpriced so you may want to pick up snacks the night before or pay $4 for a small pack of cookies. While it’s okay to eat and drink on the bus you should keep your fellow passengers in mind. Chewing on granola loudly or eating a sausage biscuit may bother others within the confines of the van. The driver spoke with everyone as they boarded and provided us with a bit of information on the areas we were passing through. When we traveled over the final bridge to get to Clearwater Beach the driver pointed out the Clearwater Marine Aquarium. A few other passengers and I planned to head over there once we disembarked. We arrived at an outdoor shopping plaza directly across the street from the beach where the driver explained the return process and pointed out the nearby restrooms that were available to us. Take down the drivers cell phone number, which they happily give you, in case something goes awry. The journey back to Orlando/Lake Buena Vista took a bit longer thanks to afternoon traffic, but this is common and to be expected. Take a nap, share your day with the other passengers or just watch the land pass by through your window. On busier days there may be coach buses that make the journey, but I’ve traveled to Clearwater Beach on a large van. The return trip took about 2 hours, which wasn’t so bad considering that fact that I did not have to personally sit behind the wheel. At the end of the tour you can provide your feedback to the driver on a survey (you can leave it anonymous) so they can better it for other or hear how you enjoyed your trip. Everything went off without a hitch and the service was great! Sunset view due to 4:30 pm departure time.